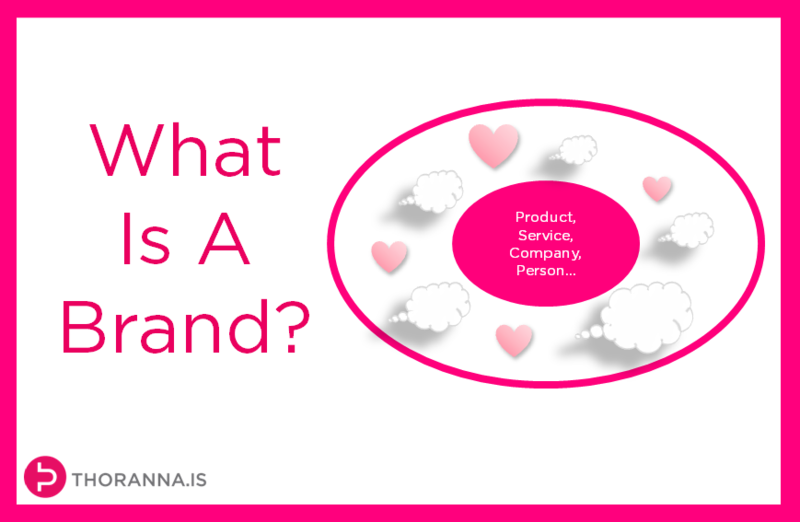 You are here: Home / branding / What Is A Brand? Many times, when talking to entrepreneurs and small business owners, I find that there is confusion about the concept of brand and branding. Not surprisingly. It is one of these things that the branding experts have managed to shroud in mystery and fill with jargon charging gazillions for development of brand strategy, brand associations, brand equity and other such fancy sounding things. It is also one of these things that people tend to associate with big business and global corporations. The Nikes, Apples and Googles of this world. But I am going to let the cat out of the bag and tell you that not only is branding not only the prerogative of big business, but a brand is actually the single most powerful thing you can develop for your small business or startup. So what is this thing called a brand. First, an important point on what a brand is not. A brand is not just a logo or the designy things associated with a business (“designy” lol … well, let’s just say it’s a word ;) It is a whole lot more. A brand is everything that comes into people’s minds and all the emotions that are evoked when they come across anything to do with your business, product, service or person, depending on what the object of the brand is. So you see, saying that a brand is just the logo and the look of things is a bit like saying that a person is just the clothes she wears – nothing more – and we all know that it is not so. A brand is the mental associations and the emotional responses we have to something. That also means that a brand is something that is in other people’s minds and hearts. Your brand is not what you say it is. A company’s brand is not what the company says it is. A brand is what people out there say it is. Brand is the reason why we don’t just buy a computer or a pair of trainers or a cola drink. We buy either a Dell or an Apple or an IBM for example. We buy trainers (or sneakers if you are from the US), but not just any trainers. We may buy Nike or Puma or Adidas for example. And that black sugary fizzy drink with all the caffeine in it. It makes all the difference whether the can says Coca-Cola or Pepsi. This is simply because of the mental image we have of these things and our feelings towards them. Brands can be worth a lot. Every year Interbrand publishes a list of the most valuable brands in the world, which you can see on their website. The enormous valuations you can see there are not the value of the buildings or fixed assets or cash in their bank accounts or anything such things. They are simply the value of the brand. The value of the thoughts and feelings those companies evoke with people all over the world. And it is those thoughts and those feelings that allow them to, in many cases, charge more than others in their industry and build a tribe of loyal customers that would not dream of buying from anyone else, which gives them a significant competitive advantage. You don’t need to be a giant corporation do this. This doesn’t have to cost a lot of money. It’s a question of methodology, working smart, not hard. You need to think about how you want people to experience you, what you want them to think, how you want them to feel. Branding and the brand is a marketing tool that all types and sizes of businesses should be using proactively because they amplify all their marketing efforts and build a strong relationship with their customers. What Rules Apply To Small Business And Marketing? The other thing was to follow the laws of marketing. The big boys might be able to get away with breaking the rules, but we who run small businesses can not. We will get the best results when we follow the tried and tested methods out there, and Al Ries would agree with me in saying that one of the major rules of marketing is that the brand is at the core of all your marketing efforts. Below you can see definitions of a brand from various people. I think we can agree that they are all just using different words to say the same thing.